So of all the life stages today we will be focusing on teenagers. As with kids eating healthy is important although, different age groups have different prorities, needs and eating habits change . Now with teenagers fitness and nutrition are the cornerstones of teen health! If healthy routines are followed in a teenagers life, it is likely to last a lifetime, so here are some tips to help teens kick their body into top gear. Be an example to your fellow teenagers and encourage the entire family to adopt healthier habits by applying the following to your daily live. A smoothie in the morning or a bowl of high fibre cereal is a great way to start your morning and will help jump-start your metabolism, provide energy for the busy day ahead and may even prevent over-eating( which none of us really want) during the rest of the day. The calories in fizzy drinks, flavoured water, vitamin water and fruit juice can add up quickly. 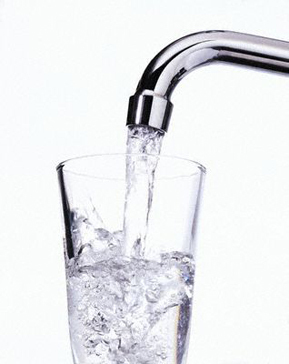 To avoid all those hundreds of calories drink water instead of sugary drinks, as water is better and healthy option. Teens need about 60 minutes of physical activity a day. Team sports are great ways to get active and to socialize, but if you as a teen are not into sports such as hockey, rugby or tennis. Try other activities such as to walking the dog around the block, take up skipping at home or sessions at a gym. Aside from an increased risk of developing high blood pressure and diabetes, being overweight can ruin teen self-confidence. So as a teen, to maintain that weight or to lose weight permanently follows a healthy diet and balance food intake with physical activity. Remind yourself that there’s no single ideal weight and no perfect body – the right weight for one person might not be the right weight for another. Hay there all you foodie lovers! Today and for the following week this blog will divided into a blog series which will be concentrating about eating right for your age group. As we get older our interests, priorities, needs and eating habits change and with that so do our nutritional needs too. As we go through life stages our nutritional needs very but the core principles of a healthy, balanced diet remains the same“balance, variety and moderation” . 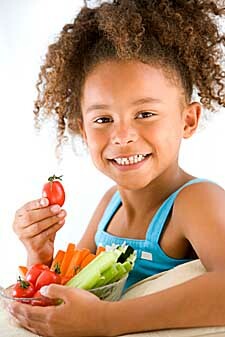 Today’s blog we will be starting off with eating right for kids. Eating healthily is vital for children to help them reach best possible potential mentally and physically. Expose children to as many different healthy foods as possible by offering them new foods regularly, one at a time and in small amounts – and remember to eat with them. May it be pumpkin, peas, broccoli, carrots or tomatoes. Offer a variety regularly. Since each and every fruit and vegetable contains different nutrients, it is important to eat a variety each day. “Plenty” means at least five portions of different vegetables and/or fruits a day. Apply the 5 a day rule. Be it full cream or reduced fat milk (plain or flavoured), cheese and yoghurt they are all rich in calcium and are crucial minerals for the development of strong bones and teeth. Chicken, fish, meat or eggs can be eaten daily, and include regular helpings of dry beans, split peas, lentils and soy. 3 ways to use vinegar. Vinegar– a sour-tasting liquid containing acetic acid, by fermenting diluted alcoholic liquids, typically wine, cider, or beer. Vinegar is not only used for preserving and cooking but is also good cleaning solution , so for those who thought its only good for cooking, now you know, because it’s acidic, it breaks down bacteria and dirt easily. Many household cleaners contain ingredients harmful to your family’s health and your environment, but vinegar is safe. It’s also natural and economical. A bottle of vinegar in the cupboard is worth more than you might know. 1. After chopping onions, scrub your hands with salt and a splash of vinegar to eliminate the smell. 2. Remove sticky labels from vases and glasses by dampening with vinegar, then leaving for five minutes before buffing off with a cotton ball or paper towel. 3. Bring out bright colours in your washing by adding half a cup of white distilled vinegar to the rinse cycle. Hey all foodie lovers. Don’t you just love the smell, the taste, the texture and the appearance of food? Don’t you just love FOOD? As said earlier food is great for stress, it can help you relax but the type of food and the amount of food you put in is very important. REMEMBER: Foods should be eaten in moderation and be part of a well-balanced diet. The amino acid, tryptophan helps the brain release serotonin, which helps you relax or calm down. Melatonin, a hormone does the exact same thing as well as mak you sleepy. Now tryptophan can be found a in number of sources of food, such as milk, chicken, eggs, nuts, cheese, fish and chocolate. Serotonin levels in the brain is increased when we eat foods rich in carbohydrates such as figs,nuts,dark chocolate. If we eat foods round about 4-3 hours before bedtime it will increase the serotonin levels although consume/eat in moderation, have a small light snack than a big meal because now your body needs work harder to digest and break down all that food that time of the night. If you listen carefully at night you can hear your tummy working digesting and breaking down when your sleeping. Sometimes it even upsets your tummy, although that is a topic for some another time. By adding fats to your meal, you will immediately start to feel the carbohydrates working. The fat will also cause a delayed reaction in the release of serotonin which means you will be relaxed a little longer. Add fats to meals by means of avocado, peanut butter and nuts. Hi foodie lovers. Which do you prefer tapped or bottled water? Water is the most important part of our daily lives and in South Africa we are so fortunate able to drink water from our taps as to other countries where water is classified unsafe for consumption. Although people have access to pure clean, top quality water from our taps we still tend to buy bottled water. 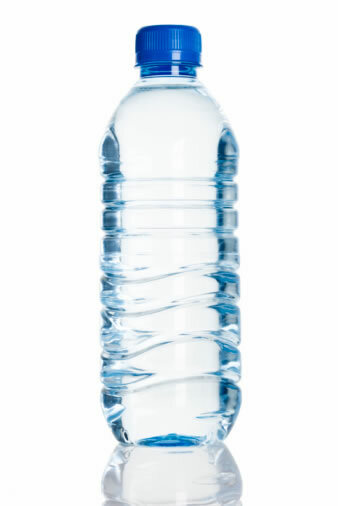 Water in plastic bottles are a available wherever you may go- restaurants, gym and even offered at conferences. Tapped water can be consumed mostly all over South Africa but this also depends on where you live in a rural or urban area. In 2008, the department of health and environmental affairs rated the quality of tap water according to the Blue Drop certification system and by receiving this certification, tap water is regarded top quality. Now where as bottled water can be quite expensive. Do you know a litre of bottled water can cost you up to R10, whereas the same amount of tap water costs less than one cent? Each year millions and millions of bottles water get thrown away. Less than half of this is recycled and the rest, well let’s just say it gets dumped in landfills where they lie for 450 years before the plastic is completely(degraded). Most water bottles are petroleum-based which can’t be recycled, its harmful to the environment to produce plastic bottles, thus having a negative effect on our environment. Although there has been said to be improvement of this matter , some companies are trying to make bottles that are plant-based which are not harmful to the environment and recyclable too. Basically bottled water might not be all what you expect it to be, there are pros and cons although the choice is still entirely up to you, tapped or bottled. As said before it all depends on where you live, may it be Italy, France or South Africa in most cases it’s better to consume bottled water then tap. Although if you have the opportunity and the privilege to drink tap water, drink it. It’s safe and also good for you. Hi foodie lovers, today I am steering more to the salty side of life and thought I should let you in on a little bit more about salt. 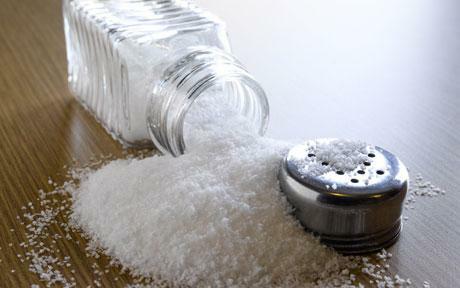 Did you know that ideally, your salt intake should be 5g of salt a day. Although as South Africans (including me) at most times consume double this amount. Do you often ever feel bloated or tired? Dizzy, thirsty and have frequent headaches? Then you might be taking into too much salt. Guilty, guilty, guilty as charged…aren’t we all. Well most of us . Salt is not only a seasoning used at the side of the dinner table but can also be found in many of your processed foods. Meaning we consume a lot and a lot of salt without even knowing it. So be careful and try to cut down on the salt. You might be putting in more than your bargaining for. • It can lead to high blood pressure. • It can cause kidney failure, vascular dementia and eye damage. Again, the blood pressure when it is dangerously high it damages the veins and arteries in vital organs such as your brain, kidneys and heart. 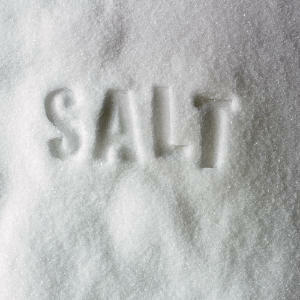 The body retains water because of the high salt content making you feel bloated. Pressure on the veins and arteries filter through areas where circulation is not at its best, such as your thighs and bottom the areas where cellulite target first and quickly. • Too much salt can lead to depression. Salt is harmful for those who are prone to depression and panic attacks as salt diminishes the body of potassium which is vital for the nervous system, to work at its best. • Read food labels carefully. • Salt content is classified as low if there is 120mg of sodium in 100g of serving. • Avoid highly processed products which contain huge amounts of salt. These include canned soups, cheese, processed meats and chips etc. • Snack on raw vegetables, fruit and unsalted nuts. • Use fresh or frozen vegetables in your cooking as tinned products contain salt to preserve the product. And then there was …..The watermelon. Originally originated in Africa, this watermelon delight has existed for centuries starting from the early Egyptian days. Testaments to their legacy were recorded in hieroglyphics painted on building walls. This fruit was fit for kings it has said to be placed in the tombs of the Egyptian kings. This tantalizing tasty fruity treat is one of the richest of fruits and of high regards and has played an important role in many countries for years and centuries. 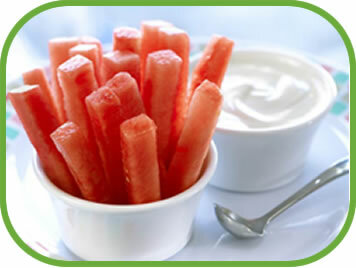 Watermelon is an excellent source of vitamin C. It is also a very good source of vitamin A. The Watermelon is rich in the B vitamins necessary for energy production. It is as great source of vitamin B6 and a good source of vitamin B1, magnesium, and potassium. 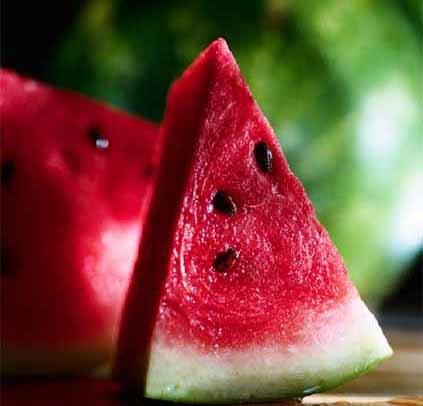 Has a high nutrient content because this food has higher water content and lower calorie content than many other fruits (a whole cup of watermelon contains only 48 calories), it delivers more nutrients per calorie— which is an outstanding health benefit! Watermelon is not a common allergen , it does not contain measurable amounts of oxalates or purines and is also not included in the Environmental Working Group’s 2010 report “Shopper’s Guide to Pesticides” as one of the 12 foods most frequently containing pesticide residues. 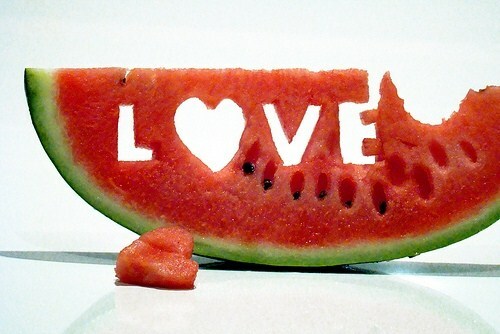 Wash the watermelon before cutting it-wash it with a wet cloth or paper towel. Depending upon the size that you desire, there are many ways to cut a watermelon. The flesh can be sliced, cubed or scooped into balls. Watermelon can be added to a fruit salad. Jam, sorbet and juice are some nutritious and delicious things you can make with watermelon. Both the seeds and the rind of the watermelon are edible. If you choose to eat the rind, it is highly suggested to purchase organic watermelon. Purée watermelon, cantaloupe and kiwi together. Mix in a little plain yogurt and serve as refreshing cold soup. Roasted watermelon seeds season it and eat as a snack food or ground up into cereal and used to make bread. Cook, the rind of watermelon this can be marinated, pickled or candied. Watermelon is a wonderful addition to fruit salad. Fruit salad can be made days ahead since cut fruit, if chilled, retains its nutrients for at least 6 days.